Early photos of my mother, Erma (Berry) Bailey and father, Robert Bailey and their families. Many photos were taken by Robert Bailey between 1939 and 1944. Pictures taken by Robert, of Erma Berry before December 24, 1941 (their wedding day) were during their courtship. This is a work in progress as there are many photos to scan. I am making an attempt to place the images in chronological order. Dad was an avid photographer but at times his editing of the resulting pictures, whether in photos or slides, could be somewhat out of order. I tended to give him a hard time about it. I suspect there will be goofs in this gallery as I'm compiling it from many sources but WHEN it happens he will surely be smiling upon me. Helen May Peterson Bailey was Robert's grandmother, she lived for 95 years from 1851-1946. Her father, William, was a sea captain with whom she voyaged from 1853-1863. This image is likely from later in this period. 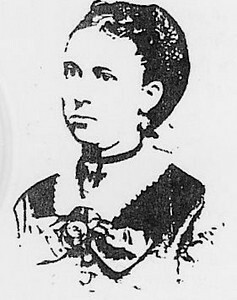 When she married Frederick Cogswell Bailey on 13 May, 1873 she married into another seafaring family as Frederick, too was a ship's captain. Helen voyaged with her husband for 10 years from 1880-1890.It was on such a voyage that Robert's father Ichabod was born in 1882 In Hong Kong Harbor.